Pet Jewelry Beverly Hills - pet jewelry dog jewelry Designer Dog collars, Pet Supplies, pet products and Pet Jewelry for all pets to enjoy. Fancy pet supplies for your pet. Established in 1998 - Pet Jewelry Beverly Hills' designer pet collars, pet jewelry & pet branklets� are beautiful, affordable, & durable. We offer a variety of designer collars, spiked collars, leather collars, matching designer leashes, harnesses, and pet jewelry for dogs. You will find innovative styles that are rich looking and feeling, yet pleasantly priced. 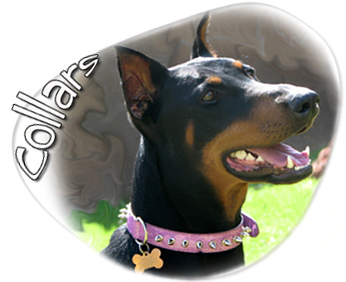 Elegant yet durable, our collars can withstand the active lifestyles pets lead. 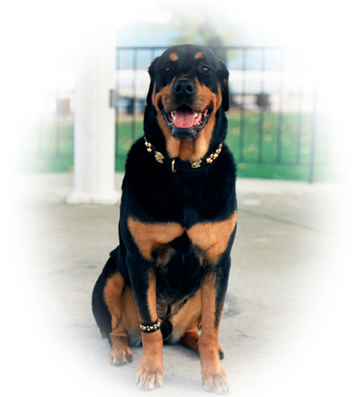 Our patented Pet Branklets� are a beautiful jewelry accessory that you and your pet will love. Your pet can wear them as a pet anklet or a pet bracelet. Visit our product showcase for other innovative pet products you and your pet will love. Have fun browsing thru our website. We offer shopping cart convenience as well as secure online shopping. As always, we guarantee you the best service and products. To choose a Pet Jewelry Beverly Hills' collar & branklet size you should determine your dog's neck & ankle size, and simply select it on the shopping cart under the Pet Jewelry Beverly Hills collars you want. 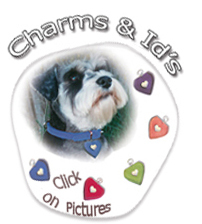 For pet charms, click here to make your pet even more beautiful.